Typically I'm asked how I know these are feral survivors instead of recent escapees. First, they act differently than any of the domestics. Just little things, mostly, but also they overwinter in very small clusters and are very frugal. They are also very variable in aspects that are usually bred for, like propolis or being runny. Also they are typically smaller when you find them being from natural sized comb. Black Bees. Can you spot the queen? 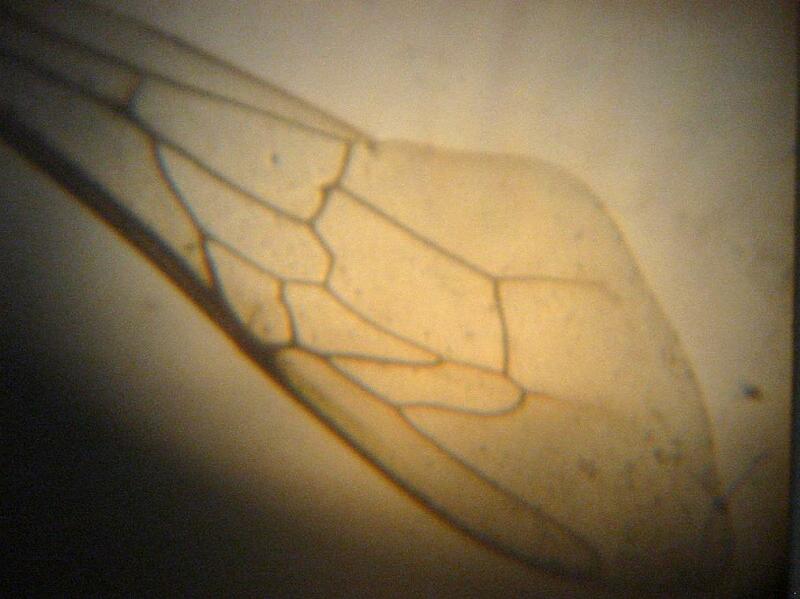 Back wing of black worker bee. Are the easiest way to get feral bees. But a lot of swarms are, and a lot of swarms aren't, feral bees. I'd take them either way, but if you're looking for Feral survivor bees to raise queens then look for the smaller bees. Swarms with small bees are probably feral survivors. Swarms with larger bees are probably swarms from someone's hive. To get swarms, notify the local police and rescue people and the county agricultural extension office. If you want to do a lot of them run a yellow pages ad for swarm removal. Much has been written and each situation is both similar and unique. A swarm is a bunch of homeless bees with a queen. They may have already decided where they think they want to go, or they may still have scouts out looking. Swarms usually happen in the morning and they usually leave by early afternoon, but they may swarm in the afternoon and they may leave in a few minutes or a few days. If you chase swarms you will often get there too late and often get there in time. Both will happen. It's best to have all your equipment with you all the time. If you have to go get it, you will probably be too late. Have a box with a screened bottom attached. This can be attached by nail little squares of plywood into both the box and the bottom or with the 2" (50mm) wide staples that are sold by bee suppliers for moving hives. You need a lid. I like a migratory cover because it's simple. Less moving parts. I like to have a #8 screen cut and bent to 90 degrees to block the door (but not attached yet). A stapler is nice for anchoring the screen to the door and the cover to the hive. The best are the ones labeled as light duty staplers instead of the heavy duty ones. They penetrate better and stay better. I don't know why. The ones that take the T50 staples are not the right ones, although if you already have one you can use it. The ones that take the J21 staples are the right ones. You need a veil minimum, but I like a jacket or a suit. Gloves and a brush are helpful. You can make or buy a rig with a 5 gallon bucket to knock them down with. The idea is that you add EMT (conduit) to it as a long handle and you slam it under the swarm to dislodge them into the bucket. Then you pull on the rope to put the lid on and lower the whole thing back down and dump them into a box. The main trick to swarms is to get the queen. If you can reach and see, try to find the queen. If you know you see her and can make sure she ends up in the box, close it up, brush off the stragglers and leave. If you're not sure, then let them settle in. It helps if the box smells like lemon pledge. Either put some lemongrass essential oil in it (lasts longer) some swarm lure (costs more but works well) or actually spray some lemon pledge (cheap, easy to find, but doesn't last as long) in the box before you put the swarm in. If you pay attention when you buy a package or hive a swarm you'll notice it's what they smell like. Sometimes they will settle into the box. Sometimes you didn't get the queen, or she likes the branch she was on better, and they all start accumulating on the branch again. I just keep shaking them in until the stay. It usually works. In my observation, honey, brood etc. are no help in hiving a swarm. They are not looking for an occupied house, they are looking for an empty or abandoned house. Old empty comb sometimes helps. Some brood might help anchor them so they don't leave though.. Always wear protective equipment. Swarms don't usually get mean, but things are unpredictable. Also be careful of power lines and falling off of ladders. It sounds redundant, but when a lot of bees are buzzing you, and especially if one gets in your bonnet, it's hard to stay calm, but it is a requirement if you are on top of a ladder. Sometimes called a "cut out". This is not the easiest way to get bees. It is exciting and fun, but sometimes requires some construction skills and lots of courage. The idea is to remove all of the bees and all of the combs from a tree, a house, or whatever they are living in. It often involves removing sections of walls and repairing them afterwards. It is not usually financially worth it unless you are being paid to remove them or you have a lot of free time. Each removal is a separate situation. Sometimes they are in a old abandoned building and the owner doesn't care if you rip the wallboard off or tear the siding off. Usually it does matter and you can't go tearing it up, you have to put everything back when you are done. Ignoring, for the moment, the construction issues, if you get to the combs, whether they are in a house or a tree or whatever, you need to cut the brood to fit frames and tie around the frames to hold it in. This does not work for honey because it's too heavy, so scrap the honey. Throw it in a five gallon bucket with a lid to keep out the bees trying to clean up the spill. Try to put the brood in an empty hive box and keep brushing or shaking the bees off into it. If you see the queen, then catch her and put her in the hive box. If you get some brood and the queen in the hive box the rest of the bees will eventually follow. If you don't see the queen, then just keep putting bees in the box and brood comb in frames in the box and honey in the bucket until the combs are all gone. Take the bucket and, if you can, leave for a few hours and let the bees figure out where the queen and the other bees are. The will all settle into the new box. At dark they should all be inside and you can close it up and take it home. This method is used when it's impractical to tear into a hive and remove the comb or there are so many bees you don't want to face them all at once. This is a method where a screen wire cone is placed over the main entrance of the current home of the bees. All other entrances are blocked with screen wire stapled over them. Make the end of the cone so it has some frayed wires so that a bee can push the wires enough to get out (including drones and queens) but can't get back in. Aim it a bit up and it helps some on keeping them from finding the entrance. Now you put a hive that has just a frame of open brood, a couple of frames of emerging brood and some honey/pollen, right next to the hive. You may need to build a stand or something to get it close to where the returning foragers are clustered on the cone. 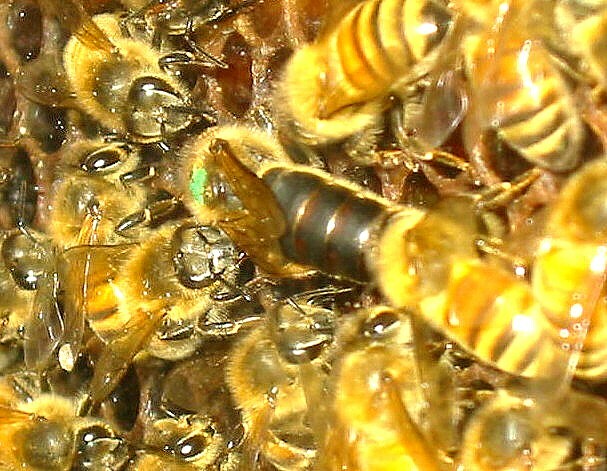 Sometimes they will move into the box with the brood comb. Sometimes they just hang on the cone. The biggest problem I've had is that this causes many more bees to be looking for a way in and circling in the air and the homeowners often get antsy and spray the bees with insecticide because they are afraid of them. If you think this is likely, then don't put the box with the brood here, but rather at your beeyard, hopefully at least 2 miles (3.2km) away, and you vacuum or brush the bees off into a box every night and take them and dump them in the box with the brood, you will eventually depopulate the hive. If you keep it up until no substantial number of bees are in it anymore, you can use some sulfur in a smoker to kill the bees (sulfur smoke is fatal but does not leave a poisonous residue) or some bee quick to drive the rest of them out of the tree (or house or whatever). And if you use the Beequick you may even get the queen to come out. If you do, catch her with a hair clip queen catcher and put her in a box and let the bees move into the box. Since the cone is still on the entrance they can't get back in the old hive. I'd leave it like this for a few days and then bring a strong hive and put it close to the old hive. Remove the cone and put some honey on the entrance to entice the bees to rob it. This is most effective during a dearth. Mid summer and late fall being likely dearths. Once they start robbing it, they will rob the entire hive out. This is especially important if removing them from a house, so that the wax doesn't melt and honey go everywhere or the honey attract mice and other pests. Now you can seal it up as best you can. The expanding polyurethane foam you buy in a can at the hardware store is not too bad for sealing the opening. It will go in and expand and make a fairly good barrier. Joe Waggle came up with this option, if you can keep a good eye on it is when they swarm, put the cone on and then the virgin queen will leave to mate and not be able to get back in. 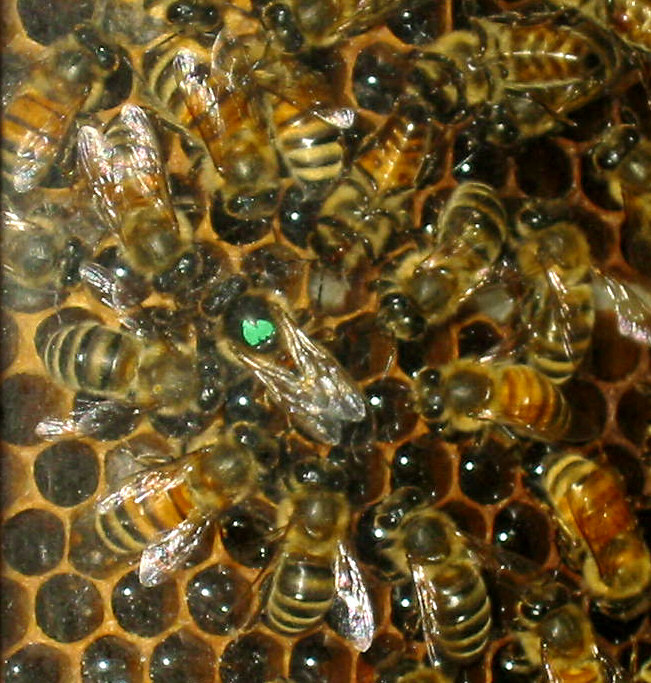 Then you can get a swarm with a queen from the cone. I will preface this that I don't like Bee vacuums. They kill a lot of bees make it hard to find the queen and likely to kill her. I hardly ever use them. They are nice for cleaning up the last stragglers at a colony, but I prefer to use a spray bottle of water to keep them from flying so much and a bee brush or shaking to get them off. I think a Bee vacuum is often a replacement for finesse and skill. Since they are occasionally useful, let's talk about them. If you have too much vacuum it will kill too many bees. If you are converting a shop vac, cut a hole in the top or use a hole saw and drill a hole. You'll have to adjust this to fit the way the vac is designed, but if there is room you could just drill a three inch (76mm) hole. If not you could drill and saw to make a longer hole. The idea is that we will take a piece of wood or plastic and make a damper by putting a screw through it on one corner and pivoting the damper to make a larger or smaller hole. This hole is covered on the inside by hardware cloth or screen wire. I just glue it with epoxy on the inside. Now when you adjust the damper to be more open there is less vacuum. When you close it more, there is more vacuum. If the bees hit the bottom of the vacuum too hard they will die or be injured. The solution to that is put a piece of foam rubber on the bottom. Or wad up some newspaper and put it on the bottom. Anything to soften their landing so they don't hit the hard plastic bottom. Bees get torn up hitting the corrugations of the tube. If you get a smooth hose there will be less of this. If you get smaller corrugations there will be less of this. If you run the vacuum too long the bees inside get hot, regurgitate their honey and die. If this happens you will notice they are a sticky mess. Don't run the vacuum any longer than you have to. Adjust the vacuum carefully. You want just enough vacuum to pick the bees off the comb and no more. Too much and you'll have a canister full of squashed bees. This tool can be used for bee removal. Getting bees off of the combs and not in the air is very helpful. Be careful. I have used them with good luck and I have also killed a lot of bees when I didn't mean to. People often have bees in an old rotting hive that is crumbling to pieces and is so crosscombed they can't manipulate it. Or they have a hive in a log gum, a box hive (no frames), a skep, a piece of a tree that fell down or some oddball equipment that they want to retire or even that they want to move them from all deeps to all mediums etc. If you want bees to abandon some current abode that can be taken home and manipulated here are some methods that I've used, and some variations that I have not used, but should work. I have used this on box hives and log gums. You want the bees to abandon their old home, but you don't want to sacrifice all the brood. You want to get most of the bees and the queen out of the old hive into a box that is connected to the old hive. In other words there needs to be some connection between the two. A piece of plywood that is as large as the largest dimension of either one in both directions can then had a hole cut in the middle of it that is as large as the smaller of either on in both directions. By putting this between the new hive body and the old hive you have connected the two. The next decision is whether you want to use Bee Go, Bee Quick (similar) or smoke and drumming or just patience. It helps if the new hive has some drawn comb and, better yet, a frame of brood. If you want to use the fumes (Bee Go and Bee Quick) then you put the old hive on top and the new hive body on the bottom. Have a queen excluder handy. Use a soaked rag for fumes and put it as near the top of the old hive as you can. This will drive the bees down into the box. When the box seems pretty full and the old hive seems pretty empty put the excluder between. 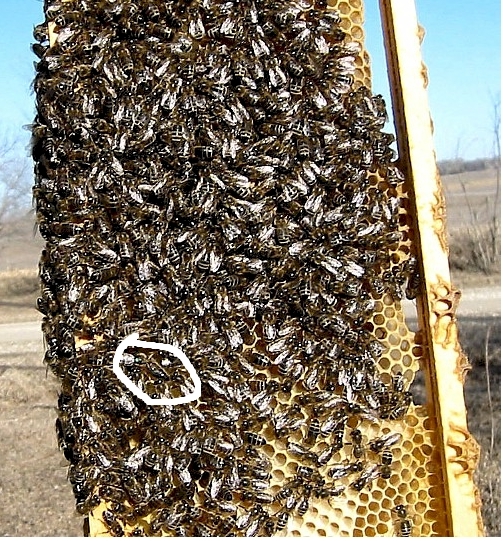 If you can easily do it, put the old hive so that the combs are upside down from what they used to be. That way the bees will be more likely to abandon it eventually because honey runs out of the cells and the combs are the wrong way for brood. If you want to smoke and drum, then you put the old hive on the bottom and the new one on the top. Smoke the old hive heavily and tap on the side with a pocketknife or a stick. You don't have to do it hard like a bass drum, just a tap tap tap. A lot of smoke helps. Again, when it looks like most of the bees are in the top put in the excluder. It doesn't matter what the orientation of the combs is for driving the bees out, but it helps if it is upside down now. 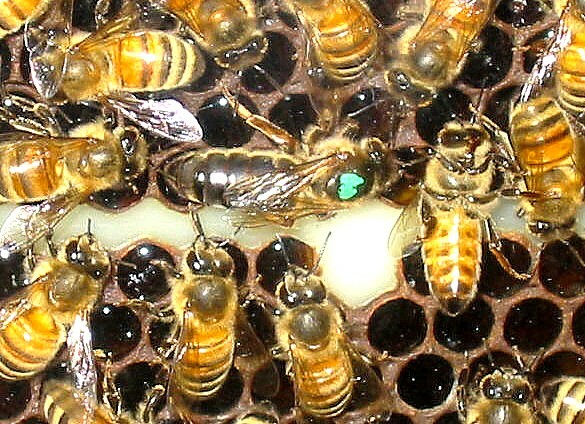 The queen should be in the top and they will finish the brood in the bottom and then rework it for honey or abandon it. 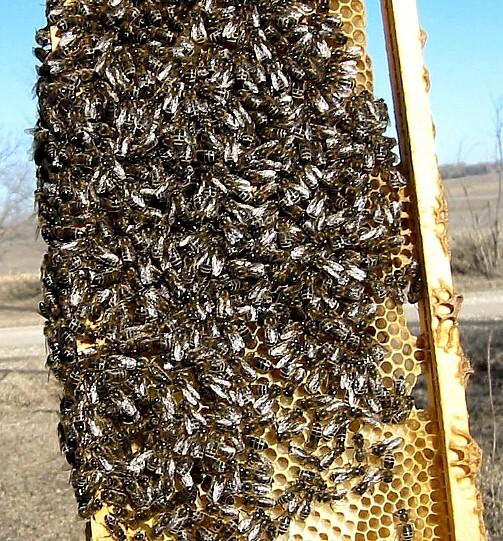 If you want to use patience, just make sure the old hive is upside down and the new hive on the top and wait for the bees to abandon the upside down comb and move up. This may or may not work for some time because the queen wants to stay in the brood chamber and the bees might rework the comb in the old hive. But more than likely they will move up. Bait hives are empty boxes that are set out to try to entice a swarm to move in. They will not entice a hive to swarm, but they may offer a nice place for a hive that wants to swarm. I use Lemongrass oil and sometimes queen pheromone. You can buy QMP (Queen Mandibular Pheromone). It is little tubular pieces of plastic that have the smell impregnated in them. It is currently being sold under the name Pseudo-Queen. When I use these for bait, I cut each of them into four equal pieces and use one piece and some lemongrass oil or some swarm lure. Swarm lure and QMP are available from bee supply places. You can get your own QMP by putting all your old queens when you requeen and any unused virginqueens in a jar of alcohol. Put a few drops of this in the bait hive. Old empty combs are nice too and using boxes that have had bees in them helps. I set out about seven of these last year and got one swarm. Not great odds, but I got some nice feral bees. There are things that have been researched to increase your odds such as the size of the box, the size of the opening and the height in the tree. There seem to be a lot of exceptions though. So far my best luck has been a box the size of a deep five frame nuc or a 8 frame medium with some kind of lure (homemade or otherwise), 12 feet (4 meters) or so up a tree, with about the equivalent of a 1" hole (25mm) for an entrance. And frames with blank starter strips. My problems have been wasps moving in, finches moving in and wax moths eating old combs and kids knocking them out of trees with rocks and destroying them. Try putting nails in the hole to make an "X" to make it hard for the finches or cover the hole with #4 hardware cloth. Paint them brown or "tree" colored to make them harder for the kids to see. Use starter strips or clean dry old comb so the wax moths don't move in or spray the old comb with Certan. Remember, this is like fishing. I would not count on it if you're trying to get started beekeeping. You might catch one the first year or you might not catch one for several years, or you might catch several.